Last week, we had brought to you a guest post by NSAI on the ongoing Monsanto-Nuziveedu patent dispute. 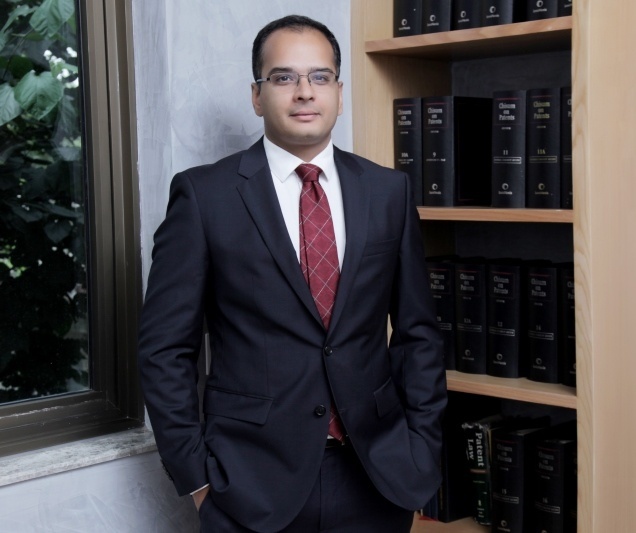 We now bring to you another guest post on this dispute by Mr. Bhagirath Choudhary, the founder director of the South Asia Biotechnology Centre (SABC), New Delhi and Dr. Usharani KS, who practices at Prometheus Patent Services, Hyderabad. 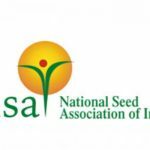 This post is in response to NSAI’s post, which in turn was in response to Prashant’s post on whether Monsanto’s invention can be protected as a plant variety and seek benefit-sharing from Nuziveedu. Monsanto’s patent has two claim sets that are directed towards nucleic acid or gene sequences (Claims 25-27) and methods for producing transgenic plants (Claims 1-24). Both the claims viz. the man-made nucleic acid or gene sequences and the man-made processes (not an essential biological process) of transferring the man-made gene sequences (a novel product) into the genome of a plant, emanate from human ingenuity. Claims 25 to 27 have the preamble “nucleic acid sequence” defining a biotechnological product and the body of the independent claim 25 “a promoter operably linked to a first polynucleotide sequence encoding a plastid transit peptide, which is linked in frame to a second polynucleotide sequence encoding a Cry2Ab Bacillus thuringiensis 8-endotoxin protein, wherein expression of said nucleic acid sequence by a plant cell produces a fusion protein comprising an amino-terminal plastid transit peptide covalently linked to said 5-endotoxin protein, and wherein said fusion protein functions to localize said 5-endotoxin protein to a subcellular organelle or compartment” clearly establishes that the biotechnological product is man-made where the Cry2Ab gene from a microorganism conferring the insecticidal trait is engineered to be expressed in a suitable system. Thus the man-made nucleic acid or gene sequences do not exist in nature, cannot be considered a part of plant, and are novel biotech products. Claims 1 to 24 have the preamble “method for producing a transgenic plant” categorizing them as process claims with a primary purpose of producing transgenic plants. The body of the claim “incorporating into its genome a nucleic acid sequence comprising a plant functional promoter sequence operably linked to a first polynucleotide sequence encoding a plastid transit peptide, which is linked in frame to a second polynucleotide sequence encoding a Cry2Ab Bacillus thuringiensis 5-endotoxin protein, wherein said plastid transit peptide functions to localize said 5-endotoxin protein to a subcellular organelle or compartment” discloses the method of incorporating the above identified biotechnological products into a plant genome under lab conditions. 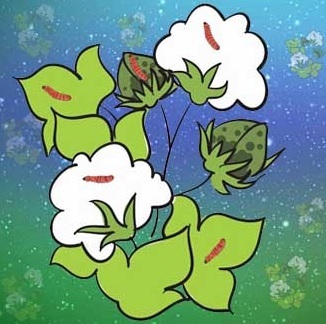 The transformants were then selected and regenerated to obtain stable transgenic seeds and transgenic plants with the insecticidal Bt trait. Thus, this process of integrating novel gene sequences into plant genome with substantial human intervention is not an “Essential Biological Process”. Monsanto transformed Coker variety of cotton seed with the man-made gene sequences claimed in the impugned patent thereby conferring Bt trait to the Coker variety. The novel gene sequences were then transferred from the Coker variety through conventional breeding by the intended party (sub-licensees in this case) into their desired cotton variety fit for Indian agro-climatic conditions. Here both novel products and processes are protected as a patent by the inventor (Monsanto in this case) under the IPA 2005, and the resultant desired cotton variety with novel gene sequences is protected by the owner of variety (sub-licensee Nuziveedu in this case) under the PPVFRA 2001. Both PPVFRA 2001 and IPA 2005 clearly demarcate what is patentable under IPA 2005 and what can be protected under PPVFRA 2001, and any other interpretation is erroneous and misleading. Evidently, the disputed patent does not have claims directed towards the transgenic plants or transgenic seeds i.e. Coker variety of cotton seeds containing novel gene sequences that were obtained from the methods for producing such transgenic seeds, which is merely a carrier of novel nucleic acid or gene sequences (claims 1 to 24). Since, the novel gene sequences are non-specific to an organism/species/kingdom, the same gene sequences can be moved into any other plant species, microbes or other suitable organisms and are certainly not a part of the plant. This is also why Monsanto and other inventors of similar novel gene sequences (so far around 420+ patent applications for such novel gene sequences and/or processes have been either filed/granted by IPA 2005) can’t protect their inventions under the PPVFRA 2001. The PPV&FR Act 2001 protects a specific plant variety or a specific hybrid and its parents which fulfils the magic criteria of DUS – Distinctness, Uniformity & Stability. Any variety that conforms to DUS criterion with or without novel gene sequences, can be protected under the PPVFRA. In comparison, patents are granted to novel biotech innovations that essentially conform to the magic criteria of Novelty, Inventive Step and Industrial Application. Therefore, neither IPA 2005 requires a variety or a seed or a crop for the patent claims other than indicating its industrial application nor the PPVFRA requires novel gene sequences for protecting a plant variety or hybrid and its parents. Thus both IPA 2005 and PPVFRA 2001 are complementary and shall co-exist to foster biotech innovations on one hand, and improved plant varieties on the other hand for the benefits of innovators, breeders and farmers. Regarding the provisions for claim of exclusive rights under section 28 of the PPVFRA, the breeder of the protected variety or a hybrid and its parent enjoys the protection under PPVFRA to produce, to license, to sell, to market, to distribute, to import and to export the protected variety. If gene patents are revoked as in Monsanto’s case, the patent holder of novel gene sequences could enjoy all these benefits only when they move such patent in the form of seeds, and shall be denied benefits of production of pure protein through any other form such as microbes and other methods, which are not protected under PPVFRA. Therefore, denying patent on novel gene sequences will limit the industrial application of such biotech innovations to seeds only, and inhibits their other industrial applications. Similarly, the PPVFRA doesn’t have any provision for claim of benefit sharing of patented gene sequences under section 26, and is limited to access, extent, nature and use of genetic resource in developing new variety or essentially derived variety (EDV). Therefore, any argument by NSAI on claims of registration under section 15, claims for benefits sharing under section 26 and claims for exclusive rights under section 28 on patented gene sequences under PPVFRA is misleading, farce and deceptive. 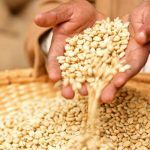 “The Court held that Monsanto cannot have patent on transgenic seeds per se” – The disputed patent does not claim transgenic plants or seeds. “However, once they sell transgenic seeds to Indian seed companies for use as initial varieties for creating new varieties, they cannot claim patent rights on subsequent seeds produced by farmers and breeders using essentially biological processes. 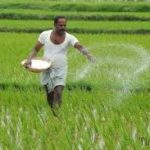 For that, it must rely on the provisions of benefit sharing under the PPV&FR Act” – Here the patent right claims are upon the patented gene incorporated into seeds and not on the seeds per se. Hence PPVFR Act and benefit sharing with reference to this patent are irrelevant as described above. How come a biotechnological gene product got invalidated under section 3(j) of IPA 2005? Once a patented gene is backcrossed into a seed or a plant variety, does the patent rights of the gene cease to exist and can the unauthorized use of a patented gene after its introgression into plants constitute infringement? Finally, it is a very welcome relief to see that NSAI has conceded that “They (Monsanto) can have a patent on gene or gene sequences that have been synthesized in the laboratory and under patents act, they have the right to prevent anyone else from producing such transgenic seeds in a laboratory and selling the same”. The Plant Variety Authority and Bt Cotton: A Case of Regulatory Capture? 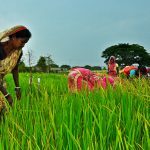 Monsanto vs. Indian Seed Companies: Enforcement of Rejected Patent Claims? The key question here is what is written in Indian law and how is it interpreted in the best interests of India,Indian farmers (end-consumer of GM seeds) and the seeds and traits industry. Which model does Indian law provide for out of the below ? Delhi HC has struck down the second option and has unequivocally decided it is the benefit share model as per PPVFR act that the Indian law permits. Also the patent 214436 has nothing specific to do with the Indian Bt Cotton plant varieties. The patent is a generic conceptual framework which describes Cry2 Ab and Cry2 Aa fusion protein expression in plants in general. Using this patent several events are created including MON 15985 patent in certain Cotton plant varieties which are further crossed with local plant varieties which are further licensed as Bt technology to seed companies. Now if it is the “position effect” of a particular event is what that matters then what is included in 214436 patent is not what is available to Indian companies. The MON 15985 event and its detection methods are protected by another patent 232681 , which Monsanto has cleverly masked this fact knowing fully well that 232681 patent cannot be a strong candidate to withstand 3(j) exemption. Monsanto can claim infringement if more events are created using the 214436 patent and if a biotech company develops diagnostic primers for detection of MON 15985 event, but not for the nucleotide sequence which is expressed in plants or plant varieties. All the above facts are very important to understand the Delhi HC judgment and not mere repetition of old arguments. The Indian law should be interpreted not only in the interests of the farmers and the domestic seed companies but including that of the IP owners as well. The model (1) or (2) given in the first para is applicable based on the IP that is being protected. For the reasons as given in the above article, the disputed IP (man-made gene sequences/ processes) can be protected under the Patents Act only and PPVFR Act is not applicable. The IP owner, Monsanto has a portfolio of patents to cover this technology and patent 214436 is a patent with a broader scope covering both monocots and dicots including cotton. The patent 232681 is specific for particular cotton events and has a narrower scope claiming methods for detecting a MON15985 insertion, the primers used for the detection, the detection kit and methods for producing/screening a particular cotton event MON15985. Subject to the Court’s interpretation on whether patent rights to transgenes are lost once they are introgressed into a plant, the patent owner can claim infringement of the patented gene sequences disclosed in patent 214436 irrespective of the particular event/particular position of the transgene in the genome since this is a broad patent which does not restrict itself to a particular event/particular position of the transgene in the genome as long as the Bt trait due to the patented gene is expressed. Yeah. The patent owner can also claim infringement if more events are created using the 214436 patent but if a biotech company develops diagnostic primers for detection of MON15985 event that are distinct from Monsanto’s primers, it cannot claim infringement. Moreover, the dispute herein is with reference to patent no. 214436 which is the subject patent that was invalidated by the recent High Court Judgement and not about patent 232681. As professionals from the field of Agri- biotech and Patents, we were deeply anguished at the application of section 3(j) for invalidating patent claims of man-made gene sequences and hence we have voiced our concerns in a common platform and in the larger interest of scientific & farming community in India, and are not biased towards any party. Seeds and traits industry was mentioned above post along with farmers and domestic plant breeders. No patent rights can be claimed on any patented gene in an animal or human being or plant over expression of a nucleotide sequence as once the nucleotide sequence manifests as a trait, it is out of purview of patent act and falls under PPVR act. But why are IP Owners (traits industry) adamant that their IP can be protected by patents only? Why can’t the IPR for traits be rewarded under benefit share mechanism. Agreed there may be some process gaps currently with respect to procedures for deciding/reconciling trait values. But making a procedure or a rule which benefits all will not be a huge challenge and this cannot be a limitation. The limitation is in the loss of monopoly power. As IP owners will lose their monopoly, this dispute exists today. In any context, the business model of IP owners should align with the Indian law and not the other way round. IP owners are not at liberty to interpret and manipulate the Indian IPR regime the Indian system to perpetuate their monopoly and business interests and to sequestrate downstream industry such as plant beeding companies, indenpendent plant breeders, farmers,etc., whose rights are protected under PPVFR act. No doubt, IPR, ingenuity of Biotech innovation, R&D investments and the need to reward IP owner are respected.But the way to reward such IPR in plant varieties is through benefit share mechanism described in section-26 of PPVFR act only. Patents create dangerous monopolies especially in living beings (plants or animals or human beings). Plants and Plant varieties are self-replicating entities with all traits (natural &man-made) inherited across generations through essentially biological processes. Such traits cannot be enforced under patents, as any plant variety can be commercially propagated by anyone let alone a farmer. Further the farmers rights and researchers exemptions under PPVFR act will be in direct conflict with patent enforcement of a single trait. A trait is a culmination of multiple position effects (genetic/epigenetic) triggered by an event in a particular genetic background ( genome of the recipient plant variety) and once a nucleotide sequence expresses as a trait it is part of the plant variety. This is well known to IP owners and their ilk, who have devised country specific techno-commercial-legal schemes as business (country-entry & sustenance) strategy without understanding the consequences of users of the technology or the downstream plant breeding industry, which is subjected to price regulation/ industry specific issues. What should domestic plant breeding companies do, if the Government reduces the overall Bt Cotton seed price? Should they suffer, because IP owner wants to enforce its monopoly? Scientifically what is defined as 15985 event described in 232681 patent and defined as Monsanto technology in sub-license agreements is given to seed companies as donor seed. This has nothing specific to do with the generic 214436 patent applicable for all plant kingdom. Because the expression of 15985 event will be different from what is explained in 214436 patent. The expression of nucleotide sequence is a final outcome of the gene, genetic background (Plant variety) and the overall genome X environment effects. This particular IP owner is surely misleading the nation including courts with its portfolio of patent thickets, by legally offering one patent and fighting for the claims of another patent not relevant to the case. As professionals of plant breeding, agri-biotechnology and IPR connected with grassroots, we are deeply anguished by the monopoly practices of IP owners and their advocacy organizations who are reluctant to understand the Indian position on patents of plant varieties and PPVFR law. Surely they can earn more with goodwill and grace under benefit share mechanism.